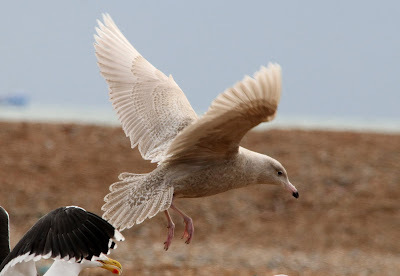 A cold morning with a fresh westerly breeze produced a trickle of birds offshore with 305 Common Scoters, a Velvet Scoter, a Great Skua, five Little Gulls and 86 Sandwich Terns. 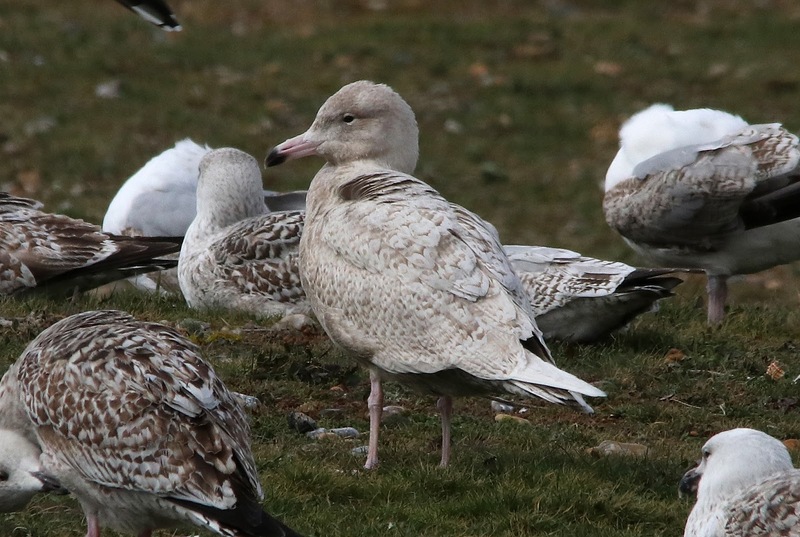 A juvenile/first-winter Glaucous Gull spent some time roosting at the Point. Two Wheatears were seen on the beach between the road and fishing boats. Some late news involves three first-winter Caspian Gulls at the fishing boats in the afternoon. A Porpoise was feeding offshore and two Brown Hares were seen from the road.